You can easily participate in the stock markets by investing amounts as low as Rs 500. This is possible through instruments known as mutual funds. With trading portals and smartphone apps making trading a simple affair, more and more people are increasingly investing in the stock markets to grow their wealth. However, it is still a general tendency to think that one needs to invest vast sums of money to take part in the markets. NO. You can easily participate in the stock markets by investing amounts as low as Rs500. This is possible through instruments known as mutual funds. Mutual funds are a type of investment in which money from several investors is invested in different instruments. These instruments include equity (stocks), debt (low-risk, fixed returns), securities, and money market instruments. This allows diversifying the risk associated with each instrument, and thus, balancing the overall risk. The resultant profit is then circulated amongst the investors depending on their portfolio, which is the combination of different instruments in his mutual fund. For instance, the highest risk is associated with equity, and the lowest risk is associated with money market or debt instruments. Hence, there are different combinations of these instruments depending on the investor and his needs. Systematic Investment Plan, or SIP, is a method which allows you to invest a fixed amount into a mutual fund each month. One can start an SIP with just Rs500 each month. With each passing month, your the fund manager will buy units of different securities with your investment. 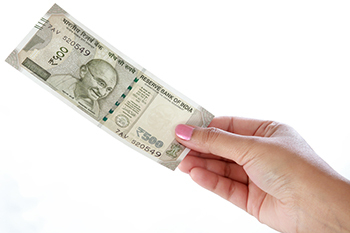 Over time, your investment will see the benefits of Rupee Cost Averaging and compound interest. Regular investments balance market volatility by averaging the number of units purchased by you. This is called Rupee Cost Averaging. The interest your money earns is reinvested; thus, you benefit from the compounded interest you receive on your investment. Hence, the earlier you start investing, the harder your money works. Growth Funds: These are the riskiest with majority investments in equities. They also provide the highest returns in the long run. Balanced Funds: These are less risky, and the returns are lower compared to growth funds. They invest in equity and debt, striking a balance between the two. Fixed Income Funds: These are mostly debt funds as they promise fixed returns for a defined period. They are the least risky. The most significant factor to keep in mind is that SIPs are designed for long-term returns. All one has to do is invest regularly and eventually gain in the long run.